The Newaygo Area County Promise Zone provides tuition assistance for qualified high school graduates in the Newaygo County Area towards an associate degree at an eligible college institution. Applicants are encouraged to review the list of qualifications before applying. Applications are due on or before April 1. 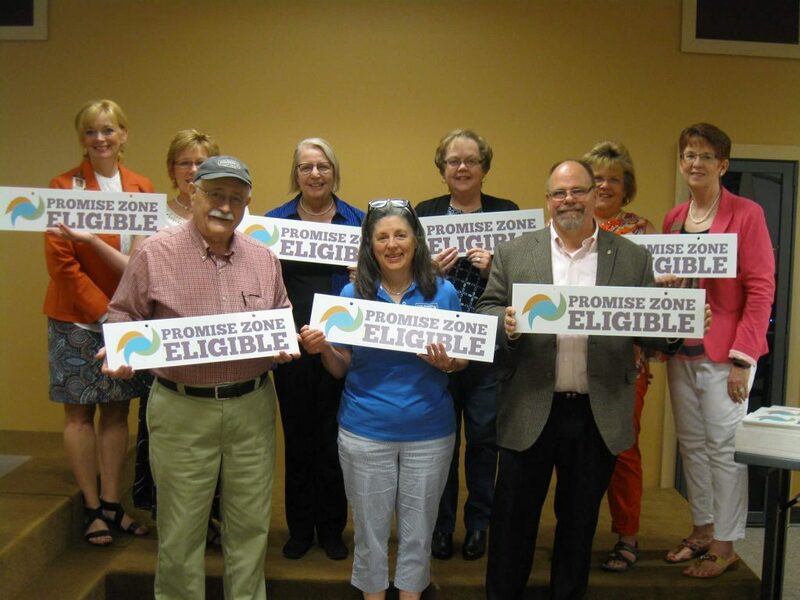 Area real estate agents met with Dr. Lori Clark and Holly Moon recently to receive a Promise Zone “sign rider” to add to their For Sale signs on PZ eligibility properties in the NCRESA service area. Special thanks to Mr. Doug Clink and his CTC Graphics students for producing the sample signs. Agents also received a e-file of the artwork to produce additional signs.